You know, I was reading about my friend Terri’s harrowing experience on an airplane this past weekend. I am so grateful she is alive! And grateful for the opportunity to be reflective. Near death encounters will do that! 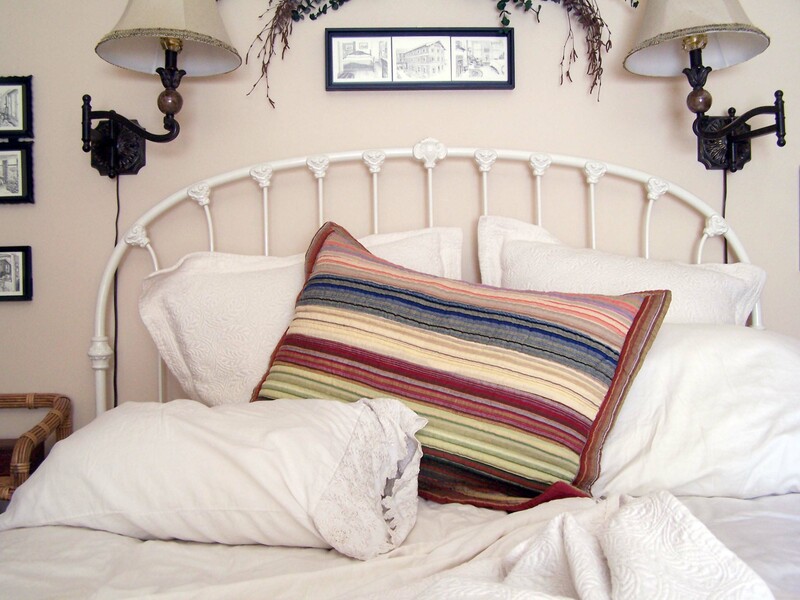 She and I share many of the same thoughts on decorating our homes, and I so love her visits here and enjoy the inspiration she gives me through her posts. She has become a good friend. We agree on the need to be authentic, real, all that. In her post she talked about making the decision (of course, she has the right to change her mind, even though I am quoting her here!) to go with taupe for her living room walls because it will look beautiful, tie it all together and by making a decision, she can move on to more important things. This is a message I am passionate about, it is really at the core of what I do. And she put it so well. Sometimes taupe is really the answer. Life should inspire our homes and our homes will inspire our lives (to quote myself, I know you’ve heard me say this before if it sounds like a deja vu!). I don’t believe in decorating for just for the sake of having a decorated home, one that says “Hey everyone, look at me (just don’t pay any attention to the person behind the curtain)!” I think the life behind the scenes is more important, the “whys” of what you are doing. Making sense of it all in light of the kind of person you want to be and life you want to lead. The beauty of our surroundings can make us happy, more productive, inspired, and support the kind of life we want, but if decorating is all there is, if there is no purpose in what we are doing, then what sorry little lives we must lead. There is nothing wrong of course with loving our little corners or the way the light shines through our windows, you know I am in love with that sort of thing! Beauty is there for us to appreciate and find joy in! But there is SO much more to life, so much more. And sometimes I let good things get in the way of the best things. If a paint decision, decorating project, blogging, popularity, career or any other pursuit is distracting you away from what you really want out of life, I think it is time to set it aside, simplify or reevaluate what you are doing. Go for taupe! Make a decision that makes sense, is reasonable, and move on! Be willing to let go of devoting time to things that really don’t matter in the grand scheme of your life. Create beautiful things, enjoy your surroundings, be happy, but if your every thought is consumed with something ultimately not so important to you, let it go. Give up something good in favor of something more important. I am speaking to myself here. So glad Terri is alive and well. And I cannot wait to see the beauty of taupe on her walls. I think the furnishings will seem all the more lovely, light will shine through her home more intently, colors will have more impact and her life will seem all the more precious when her walls are just the backdrop to a well-lived life. My unmade bed photo always reminds me to consider what is truly important to me. It isn’t perfection, image, recognition, praise, or a perfectly well-dressed home. There are things more profound, grand, everlasting, simple, precious and treasured. Wonderful things I can miss so easily. I love Coastal Style. And I have mentioned that fact several times on the blog. But, as a sweet reader pointed out, I have neglected to talk about the fact that our family has a beach house on the coast! Yes, I did mention it in my “About page” and one other time, but that was it. I apologize, I just keep forgetting to talk about it. The house has been being remodeled for about nine months now, and still has probably another month or two to go until completion (yes, that sounds way overdue to me too!). I promise to show pictures as the countdown to completion begins! Here it was earlier in the process. See! It does exist! This house has been a part of our family’s (including my folks and sister’s family) every summer, many weekends and holidays for over ten years (I can’t even remember how long now!). We are very blessed to have it. The house overlooks the Pacific Ocean, between two wonderful coastal towns, Cannon Beach and Manzanita. It is in a quiet, forested area high on a hill with a breathtaking view of the ocean. This is its second remodel since it has been in our family. Soon it will have new architectural features, more bathrooms, bedrooms, a new sunroom, decks, a heated garage to play games in and an outdoor hot tub overlooking the water. Don’t hate me, if you are really nice to me maybe I’ll invite you over sometime! A blog party! As far as a style goes, I think coastal style sometimes gets typecast as being just one particular look. 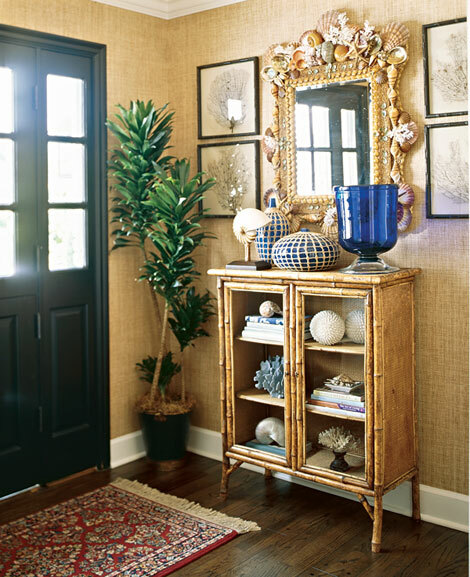 In reality, coastal style should be more of a way of life than a specific color scheme or choice in furnishings. And you know what I always say, there are no rules! For us in Oregon, being on the northwest coast, we don’t have the long warm season that folks in Florida or Southern California have. So in our particular case, we might choose a bit cozier beach style than what someone in Florida would choose. And yet, we have Coastal Style, it is just our own personal version of it. It wouldn’t be authentic if we copied a look that works well in Florida — the Northwest is a VERY different place. I love authentic style, meaning I love being true to who you are, where you are in life, and what suits you. Not being a slave to what is popular, trendy or what some designers say is cool to do, or not do. Of course, what others think can be enlightening for me, but if I don’t apply it all or do it differently, I’m OK with that. I am just me, and if it works for me and I like it, that is great style in my opinion. I’m inspired by a lot of different things, but what I come up with for my home is entirely my own unique mix. I think confidence in who you are, what is important to you, and what you love should be the epitome of a stylish person and home, not what someone else has labeled as fashionable. Who makes those rules anyways, who made THEM the home fashion police? There are fine ideas and better ideas, and some not so good ideas, but I don’t follow trends in what is currently chic or not. Being real is WAY more attractive than trying to be something you are not. IMHO! No offense to anyone who follows trends or is very chic. Really, if that is your authentic style, I am all for it. You have got to be yourself in your own home. One of my favorite styles is commonly referred to as British Colonial. I’ve mentioned it along with coastal style before, as it is one I gravitate towards in my own home. I love the mix of furnishings and casual nod to adventure and the sea that seem to go along with that style. I use elements of it because it works for both my husband and me, it isn’t too feminine for his taste and not too masculine for my taste. It works with what we have and who we are. It can go in so many directions, so it lends itself to different interpretations depending on what you have or love. Here are two photos (above and below) showing some of the elements of this style as interpreted by the designer, from the October Traditional Home. I know this style doesn’t necessarily appeal to everyone, or even work for everyone, but if you are like me, you get inspired by being stretched in new directions! So, stretch away! To see more on my own beach house remodel, click here.